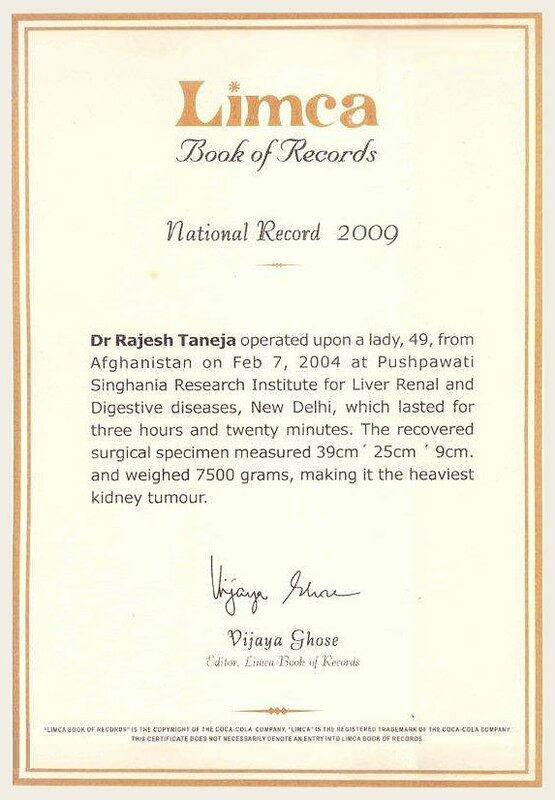 He was referred to PSRI hospital where Dr. Rajesh Taneja, a Senior Endourologist took up the challenge. The procedure was well planned and thoroughly discussed amongst the team members. The procedure needed certain improvisations in the instruments which were duly carried out. 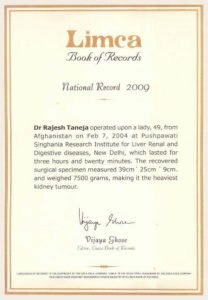 The routine technique of removing stones from kidney was modified to extract stones from the ducts of liver. As per the plan, a flexible cystoscope was passed into the duct after widening the tract from the skin under x ray- fluoroscopy guidance. Having reached to the stones, Holmium laser was used to disintegrate the larger stones while the smaller ones were simply picked up with endoscopic forceps. It was planned to cut the obstructing scar tissue through using laser, but it was not required as the obstruction cleared up after disintegrating the stones. The patient was absolutely fine in the post operative period and discharged without any tube after adequate observation. To our knowledge and belief, this is the first such procedure done in the world as per Published English literature. Decision to attempt an innovative technique in a complicated case. Immuno compromised patient, who was on drugs to suppress immunity. These patients can contract serious infections with relatively common organisms with poor out come. Stopping immunosuppressant drugs would have been dangerous for the patient’s liver. Bleeding could be a potentially dangerous complication.